WonderPrime™ is a high-quality 100% acrylic primer that chemically and physically bonds to the surface ensuring long-lasting results. 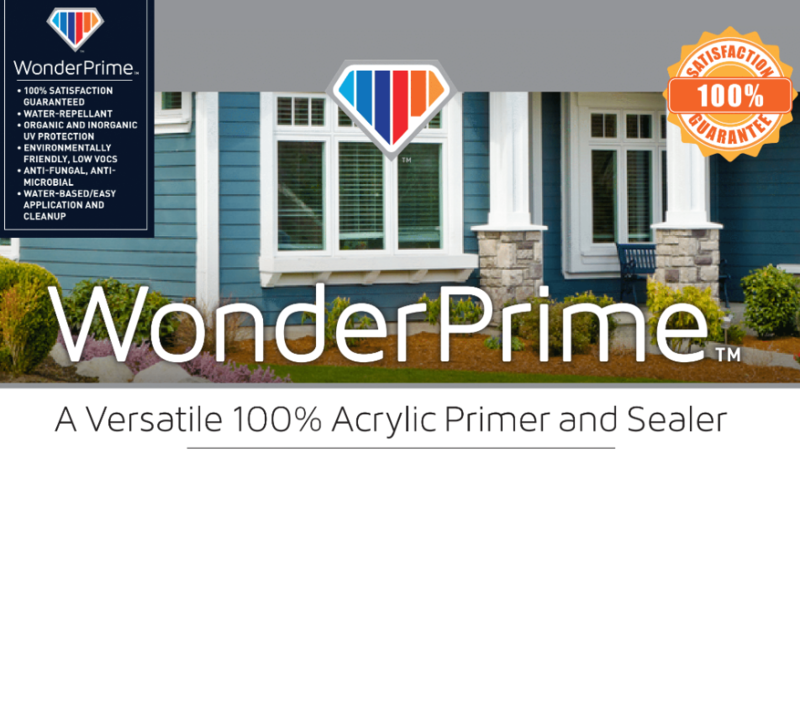 WonderPaint believes choosing a prime designed for a specific purpose is better than a one-size-fits-all product. That’s why we have different WonderPrime™ formulas to choose from. WonderPrime™ is designed to work best on masonry, concrete, brick and stucco when priming for a top coat such as WonderPaint™ or WonderCrete™. WonderPrime Vivid™ is a tintable masonry primer that is excellent for creative flooring projects when used with our WonderClear™ top coat. WonderPrime Metal™ is designed to work best on metal surfaces and is recommended for any of the WonderPaint top coats.